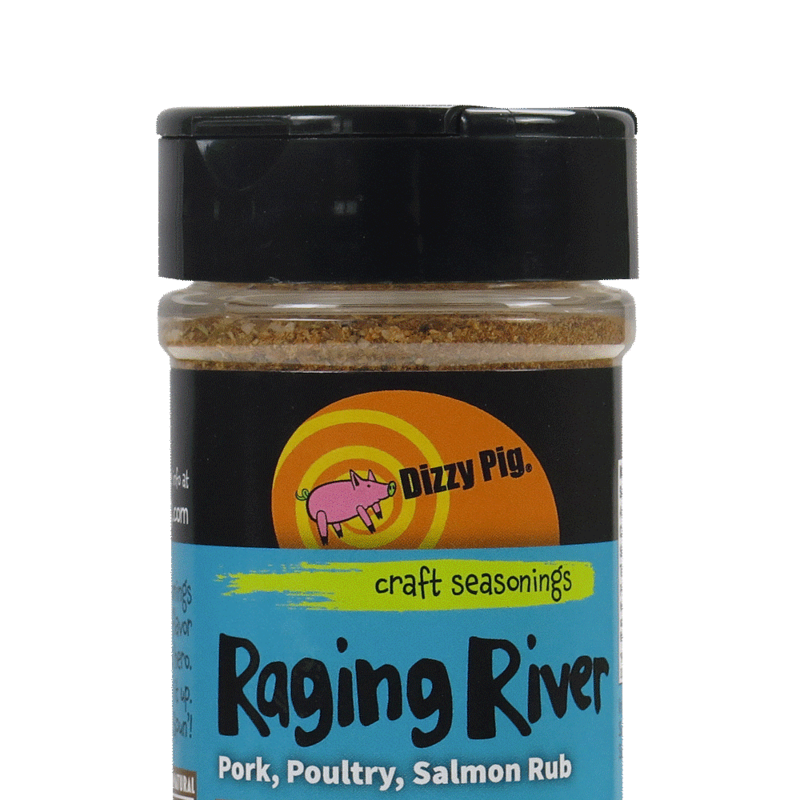 Raging River was created when a hunt for the perfect salmon seasoning turned up nothing, and we decided to step in and fill that void. Our customers (lots of them!) agree that Raging River may just be the world’s best seasoning blend when it comes to salmon, and our recipe for Maple Butter Glazed Grilled Salmon is now famous. With a mild heat level and flavors of maple sugar, black and green peppercorns and an array of mouthwatering herbs, this salmon rub works surprisingly well for pork and poultry too. Think pork chops, pork shoulder, pork ribs and pork loin. It’s even become the rub of choice for the Dizzy Pig Competition Team for use on pork, and has won a ton of awards for other pro BBQ teams that use it. That’s not all, though: As our most versatile seasoning, we also love it on veggies, seafood and more. Think of it as your desert island seasoning … the one you’d choose if you could have nothing else. It’s available in salt-free now, too, so don’t hold back!